Graduate with the theoretical and practical skills to work in both the UK and Germany with Southampton’s innovative Bachelor of Medicine BM(EU) five-year programme that is taught at a leading UK medical school and a leading maximum care hospital in Germany. Successful completion of the first Foundation Year in Germany will allow you to qualify for full General Medical Council (GMC) registration. Southampton’s Bachelor of Medicine (EU) course is a five-year, full-time, undergraduate programme that is delivered across two countries – the UK and Germany. 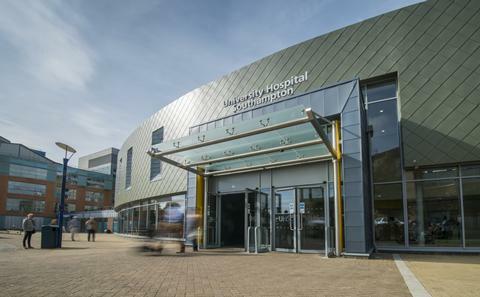 For the first two years, you will be based at one of the UK’s leading teaching hospitals – University Hospital Southampton NHS Foundation Trust – and the University of Southampton’s purpose-built, multi-million pound Life Sciences building. For your last three years you will study at the Kassel School of Medicine, in Germany. From the very start of your course you will gain clinical experience in a number of different settings in both countries in hospitals and general practice. You will be part of a small BM(EU) cohort studying a wide range of science and clinical disciplines to gain an understanding of medical practice, developing the knowledge, skills and attitudes you need to work as a doctor. In Years 1 and 2, you will be based at a research-intensive University with a 50-year history in training thousands of doctors and scientists. Our academics are leading on a wide range of areas including asthma, osteoporosis, antibiotic resistance, developmental origins of adult disease, liver disease and diabetes, as well as being home to the UK’s first Centre for Cancer Immunology. 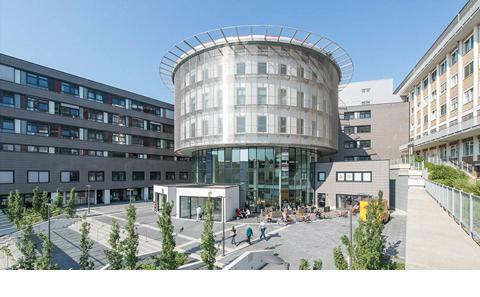 In Year 3 you will transfer to the Klinikum Kassel, where you will undertake a research project, your remaining clinical modules and gain clinical experience of a different country’s healthcare system. 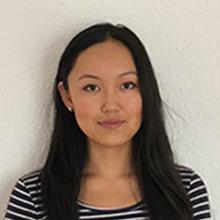 You will take the same examinations as your fellow UK students (returning to Southampton at the end of Years 3 and 5 for clinical examinations) and will graduate with a UK, GMC-approved, primary medical Bachelor of Medicine, Bachelor of Surgery (BMBS) degree, and a Bachelor in Medical Science (BMedSc). From the very start of your course, we relate your learning to future practice. You will meet patients both in hospital and general practice settings at regular intervals during your first two years. In Years 3-5 you will be part of a small cohort of BM (EU) students in Germany (less than 30) allowing you to receive personalised support and access to a wide range of patients and clinical teachers. The BM(EU) follows the traditional Bachelor of Medicine five-year programme but is delivered across two countries and in two languages, allowing you to compare and contrast two successful healthcare systems. It is one year shorter than traditional German medical programmes. In the first two years at Southampton, you will learn about the major body systems and how they work both in health and disease. Your learning will be embedded in a clinical context. You will also undertake student selected units in medical humanities and public health interventions. In Year 2 you will complete a Research into Medicine and Health module in addition to the systems-based modules that equip you with the basic tools to understand research methodologies as well as preparing you for your research project in Year 3. In your final three years in Kassel, you will complete your research project, as well as a bespoke German Medical Practice module. The majority of your final years are almost exclusively clinical in a range of healthcare settings. During these three years, you will remain a University of Southampton student. The course has offered me so many opportunities to meet new people and learn from inspirational academics. I have been able to learn about a totally different health care system, which has helped me to appreciate and understand the good aspects as well as the bad aspects of healthcare. 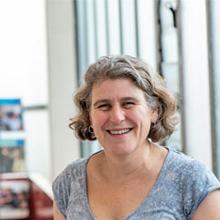 Dr Clare Polack is Programme Leader for the BM(EU) within Medicine at the University of Southampton. Situated in Hampshire on the south coast of England, the Trust's largest location, with a number of specialist services based here. 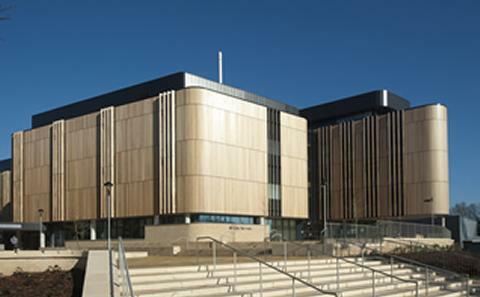 Based on the University's main Highfield campus, Medicine is situated in the Life Sciences Building. The School of Medicine is situated on the Kassel campus, Germany.